Antigorite is a hard, compact variety of serpentine occurring either in corrugated plates or fibers. 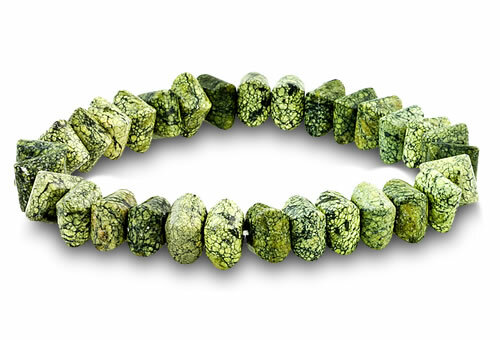 Serpentine is well known to mineralogists and gemologists, but is much less familiar to the general public. Often similar to jade in appearance, it is primarily used an ornamental material and has been carved into a wide array of decorative objects throughout history. Antigorite is usually green, but may be yellowish, gray, brown or black. Antigorite is a hard compact variety of serpantine that occurs in pleated masses. Antigorite often shows scratches and poor polish due to low mohs hardness. Stones are fine grained and has a flaky structure.